This 075615 (ALSO KNOWN AS F075615) TUTCO SUREHEAT Air Heater Is A Complete Heater With A Self Contained Blower And Digital Display Temperature Controller. 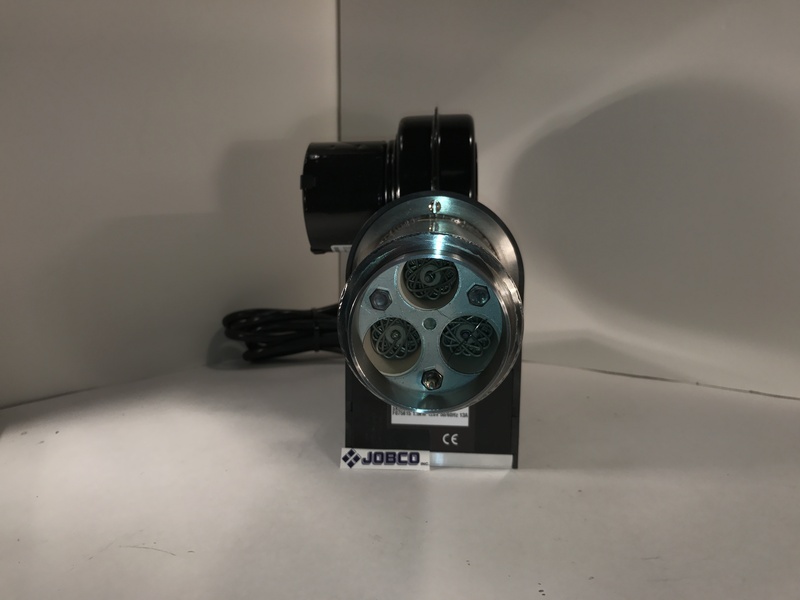 This Skorpion Heater Is Ready To Be Plugged Into An Electrical Outlet And Used For Your Heating Application. This 075616 TUTCO SUREHEAT air heater is a complete heater with a self contained blower and digital display (closed loop PID) temperature controller. 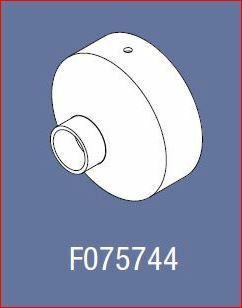 This 075744 (F075744) high flow nozzle is an accessory that can be attached to all Skorpion air heater models. It is made of welded sheet metal with a 21mm (1 inch) diameter opening. This nozzle slips onto the Skorpion heater and is held in place using a set screw. 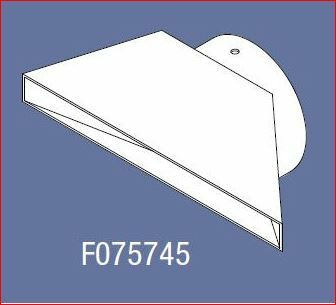 This 075745 (F075745) standard flare nozzle is an accessory that can be attached to all Skorpion air heater models. It is made of welded sheet metal with a 150mm by 12mm (6 by 0.5 inch) opening. This nozzle slips onto the Skorpion heater and is held in place using a set screw. 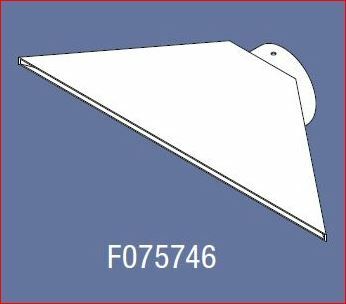 This 075746 (F075746) wide flare nozzle is an accessory that can be attached to all Skorpion air heater models. It is made of welded sheet metal with a 12 by 0.16 inch opening. This nozzle slips onto the Skorpion heater and is held in place using a set screw. This 075835 (or F075835) TUTCO SUREHEAT Air Heater Comes With An Integrated Digital Display (Closed Loop Pid) Temperature Controller. This Skorpion Heater Is Ready To Be Hooked Up To An External Air Source And Plugged Into An Electrical Outlet. This 075869 TUTCO SUREHEAT Air Heater Comes With An Integrated Digital Display Temperature Controller. This Skorpion Heater Is Ready To Be Hooked Up To An Air Supply And Plugged Into An Electrical Outlet. This 076008 TUTCO SUREHEAT Air Heater Is A Complete Heater With A Self Contained Blower And Digital Display (Closed Loop Pid)temperature Controller. This Skorpion Heater Is Ready To Be Plugged Into An Electrical Outlet And Used For Your Heating Application. Feel Confident Purchasing This TUTCO SUREHEAT Heater Knowing It Comes With An Outstanding Three Year Warranty. This 076029 (OR F076029) TUTCO SUREHEAT Air Heater Comes With An Integrated Digital Display Temperature Controller. This Skorpion Heater Is Ready To Be Hooked Up To An Air Supply And Plugged Into An Electrical Outlet. PN 205502 is a replacement heater element 3000 watts 230 volt Single phase for the Skorpion 075616, 076436, and 075835 air heaters. PN 205614 is a replacement heater element 4500 watts 230 volt Single phase for the Skorpion 076008 and 076029 air heaters.